I first tried this when my friend bought it from Downtown East EHub at Pasir Ris. My whole family, including my children loved it! So since Valentine's Day is just tomorrow, I decided that it was timely to learn how to make it and surprisingly, it is not difficult. Another plus point is that the washing is very minimal too! Pls note that you need about 2 days to do this recipe comfortably. So do it way in advance. If you want to do it within a day, it is also possible. Just be sure to start off the day early doing it as you need time to chill. 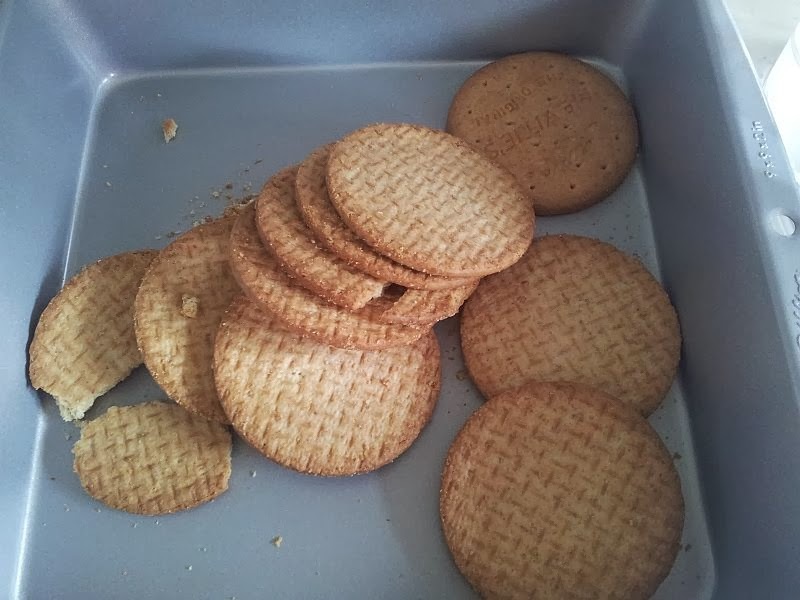 1) You can either crush the digestive biscuits in a food processor or in my case, I transfer it to my tin tray and smashed it up by using my potato masher. 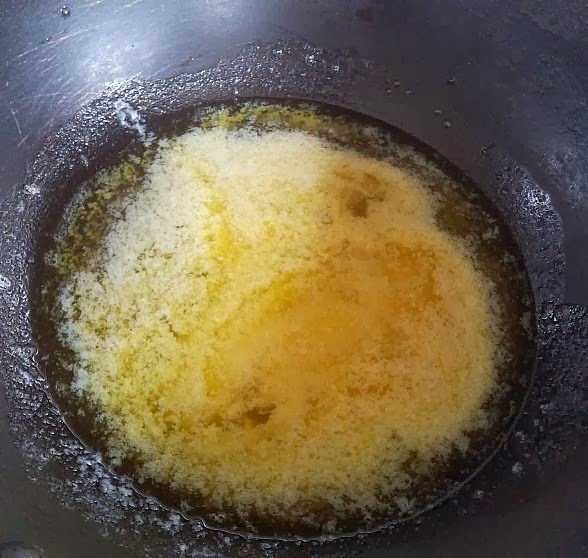 2) Melt the butter in a saucepan over low fire. 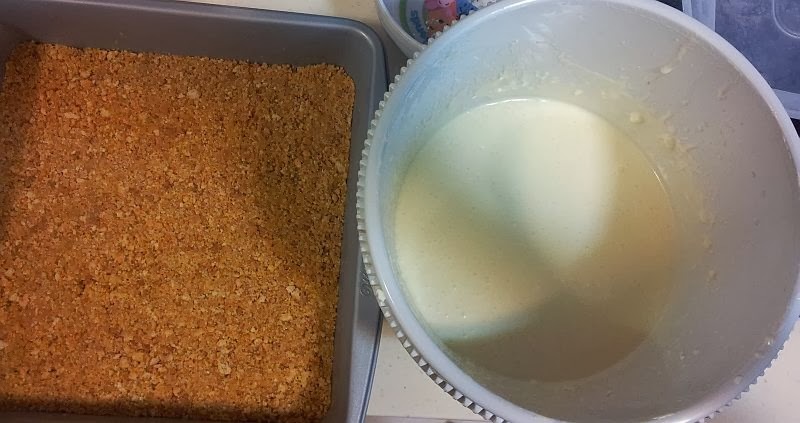 3) Pour the melted butter over the mashed up biscuit crumbs. 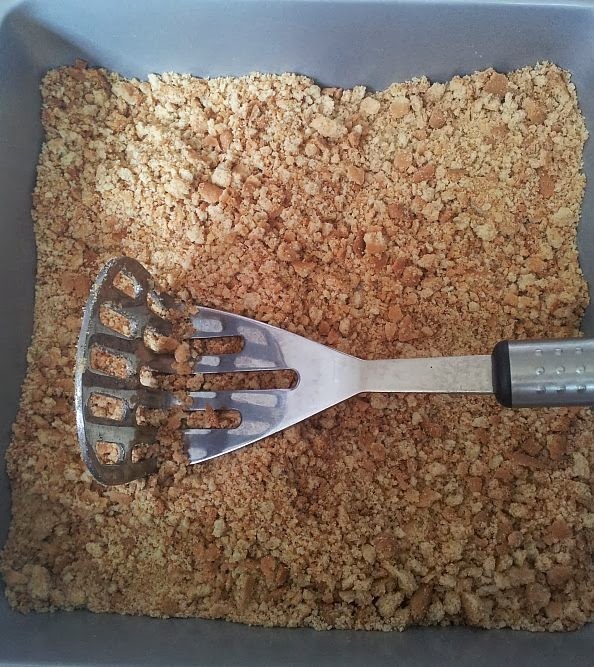 Then flatten it with a spatula or in my case, I use my potato masher to spread it and flatten it. 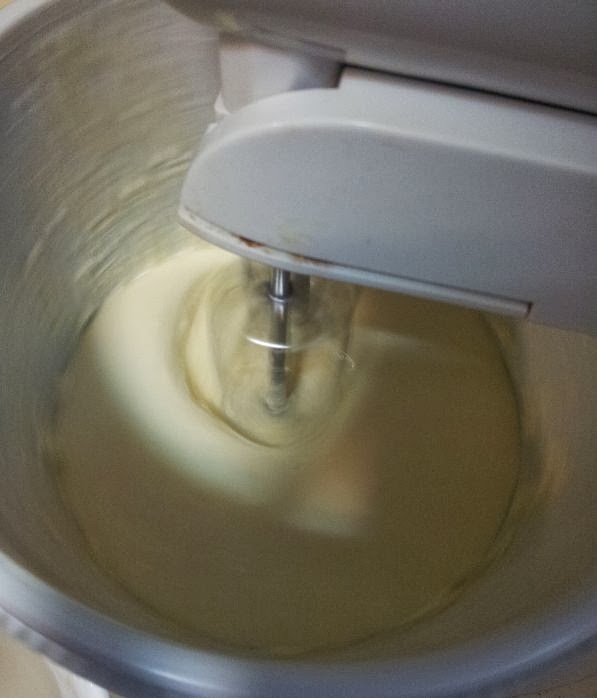 Then put in the fridge for at least an hour for the base to be hardened. 1) Add gelatin powder to 1 cup of boiling water. Stir it till completely dissolved. Set aside to cool. 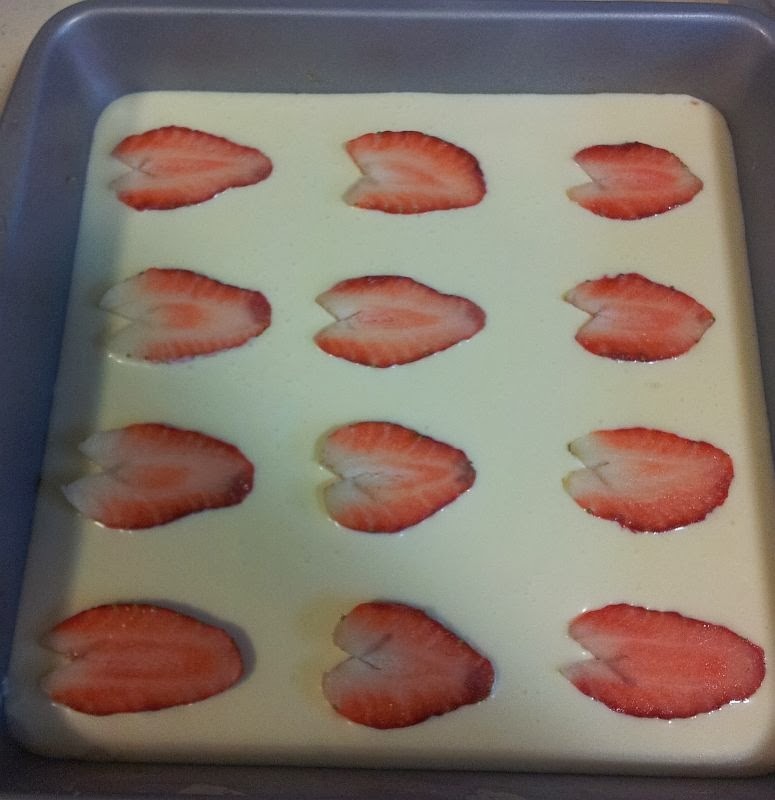 6) Place your strawberry hearts even spread out in rows. Then leave it to chill for at least 4 hours or overnight. This is my first time trying. So as you can see, the strawberries are facing the wrong side. 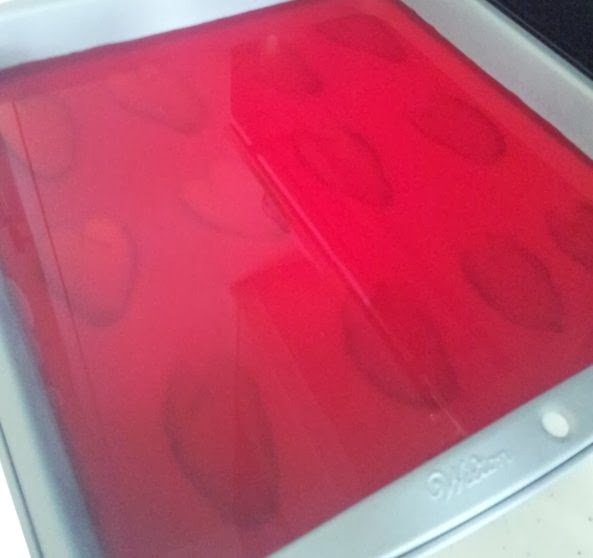 1) Mix the strawberry jelly powder with 3/4 cup of boiling water. 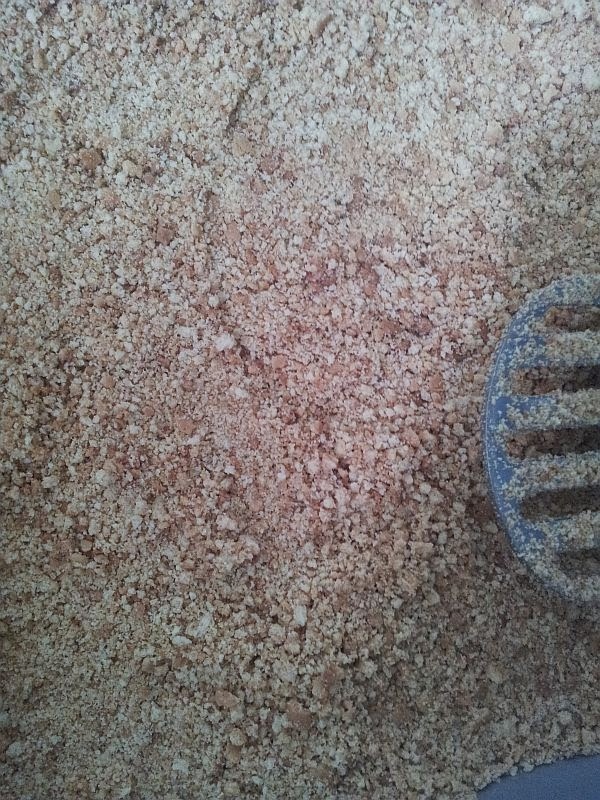 Mix it such that the powder dissolves completely. 2) Then, add 3/4 cup of cold water to it. Mix well. Cool it down first before pouring into the tray if not the cheese will melt. 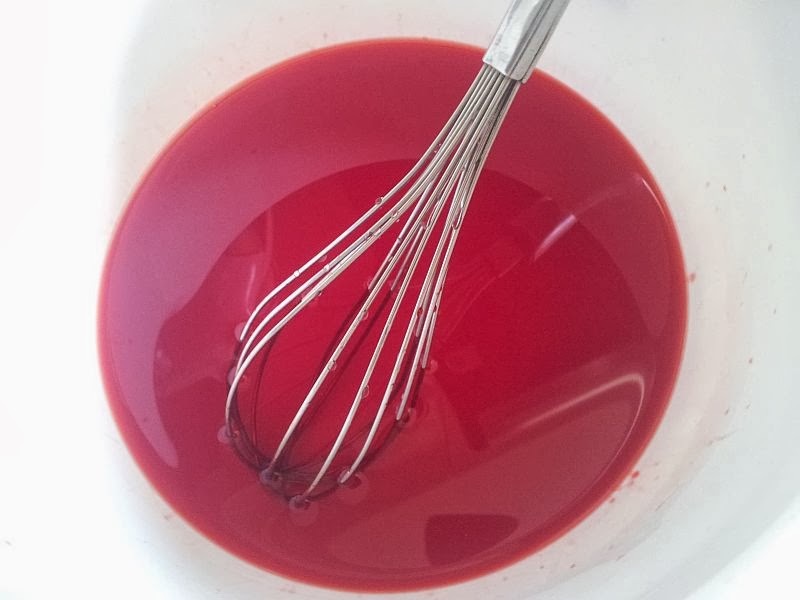 3) After pouring the mixture in, chill it for at least 4 hours for the jelly to set. To cut this, you need a sharp knife with a thin blade. Prepare a bowl of boiling water to dip the knife, wiped it and cut it to ensure a clean cut. Always wipe the knife off before doing the next cut. 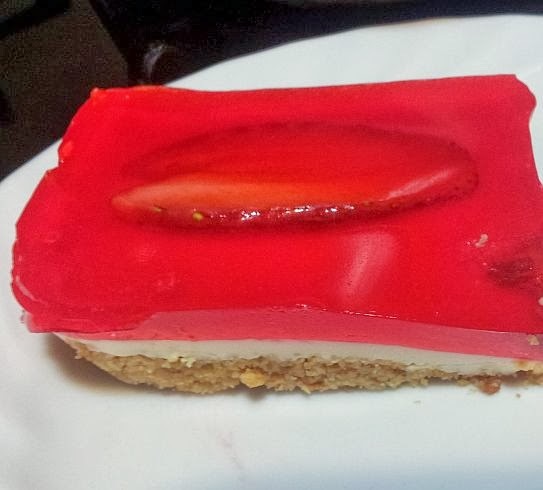 Enjoy this dessert with your loved ones! Happy Valentine's Day!